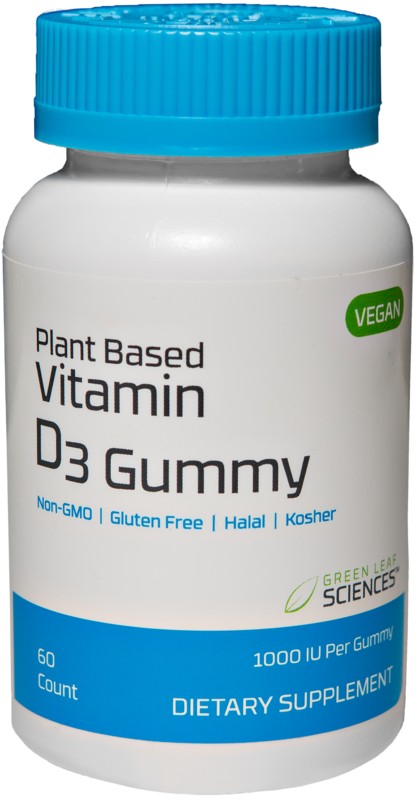 Made with VitaShine, this exclusive VEGAN VITAMIN D3 is complimented with additional health benefits provided by a full daily dose of vitamin B12. In a delicious strawberry gummy! 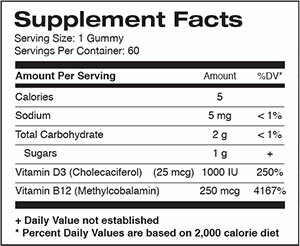 Green Leaf Sciences™ vegan vitamin D3 is extracted from a special organic plant source called Lichen. The small unique plant species has the ability to grow and accumulate nutrients including vitamin D3!